As traditional molecular imaging modalities, the nature and physical fundamentals of MRI, US, OI, radionuclide-based PET/SPECT imaging, X-ray, and CT are elucidated in this chapter. The philosophy for the design, fabrication, and application of representative imaging probes are also described. 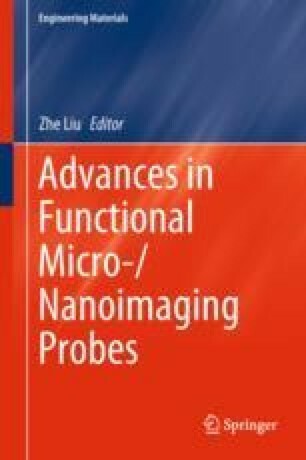 Meanwhile, advanced imaging modalities and hybrid imaging probes for both clinical and basic study uses are also introduced to present a clear understanding to a broad and interdisciplinary readership especially at the frontiers of molecular imaging research.